NORTH VANCOUVER, BC – Hearthstone Brewery has announced the release of a new beer that it is calling “gluten friendly”, although it is perhaps more clearly described as “gluten reduced”. 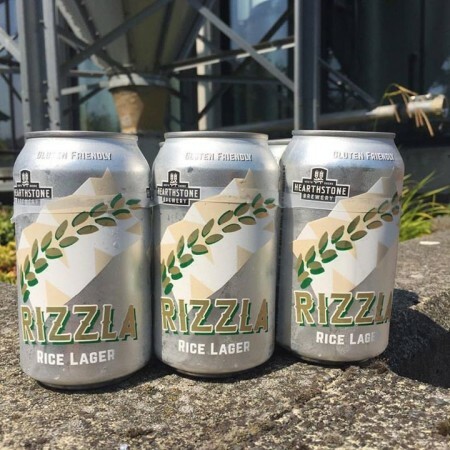 Rizzla Rice Lager is an easy drinking Asian style lager made with a blend of barley, rice, hops, water and yeast. Brewed using rice properly, for flavour rather than filler, bittered with classic northern brewer hops to balance the rice sweetness. We also use an enzyme during fermentation which significantly reduces the gluten in this brew. Rizzla Rice Lager is available now on tap and in cans at Hearthstone, and will be on the shelves at select private liquor stores soon.